Vodka is a popular, highly versatile liquor produced in many countries. Based on a variety of grains and vegetables, vodka can be both flavored and unflavored. Many of vodka’s most popular uses include contemporary mixed drinks and martinis. Here discusses some of the vodka types, their flavors, vodka-producing regions and the caloric value of vodkas, mixed drinks and martinis. One misconception about vodka is that it’s calorie-free. True, unflavored vodka consists mainly of water and is carb-free, unlike beer. However, vodka does contain 35-50 percent ethyl alcohol by volume content - and therein are the calories. The table below summarizes the caloric contents of unflavored vodka by amount. Flavored vodka presents a different caloric scenario. Although true that vodka is not calorie-free, it is probably not to be considered part a weight-loss program. Prior to burning fat, our bodies will first metabolize calories consumed through vodka. However, consider this: if you walked to your local bar at rate of about 4 mph for 9 minutes (about the time it might take to drink a shot of vodka moderately), you would burn about 64 calories (about what you would get from drinking that shot of vodka). In other words, you’d come out even! It would be misleading to say that vodka is both colorless and tasteless. Many brands of vodka exist due to the variety of distilling methods. Each vodka brand has a distinctive quality determined by its aroma, aftertaste and its degree of sharpness, i.e. the burning sensation left in the throat after swallowing it. Currently, there are no internationally recognized standards for classifying vodkas. However, vodka brands in general are divided into two broad categories: flavored and unflavored, or “neutral.” The earliest known vodka in Russia was an unflavored spirit with a strong alcohol aroma. Today, traditional Russian or Polish recipes are used to produce unflavored vodka. Because of its neutral taste, unflavored vodka has been used in an endless variety of mixed drinks and cocktails. Non-flavored Vodka. Around the world, there are a few broad classifications, according to the vodka’s flavor, brewing method and geographic origin. In Russia, for example, vodka is categorized as either high quality, or export-worthy, while vodka that contains greater than 55% alcohol by volume is labeled as “strong.” In Poland, vodka varieties are graded into deluxe, premium and standard, based on their level of purity. In the United States, however, unflavored vodkas are termed regular or classic. Here, vodkas are intended to be taste-and aroma-free. Hence, most U.S. vodkas taste similar and are differentiated solely by alcohol content, price and brand name. Flavored Vodkas. Flavored vodkas are essentially made from neutrally flavored vodkas that are enhanced with various spices. Originally, flavored vodkas arose from an effort to minimize the strong odor and taste of the alcohol content of vodka. Over time, flavored vodka became a means by which various vodka companies would showcase their brewing talents and their expertise on innovative flavoring techniques. Traditionally, flavored vodkas were made in Russia and Poland according to time-honored recipes that called for spices such as lemon, orange, peppercorns, ginger, cloves, anise, bison grass, and other spices, or perhaps dried fruit, brandy, port, etc. Today, vodka has been made in hundreds of flavor varieties that vary depending on the country and even the local region. 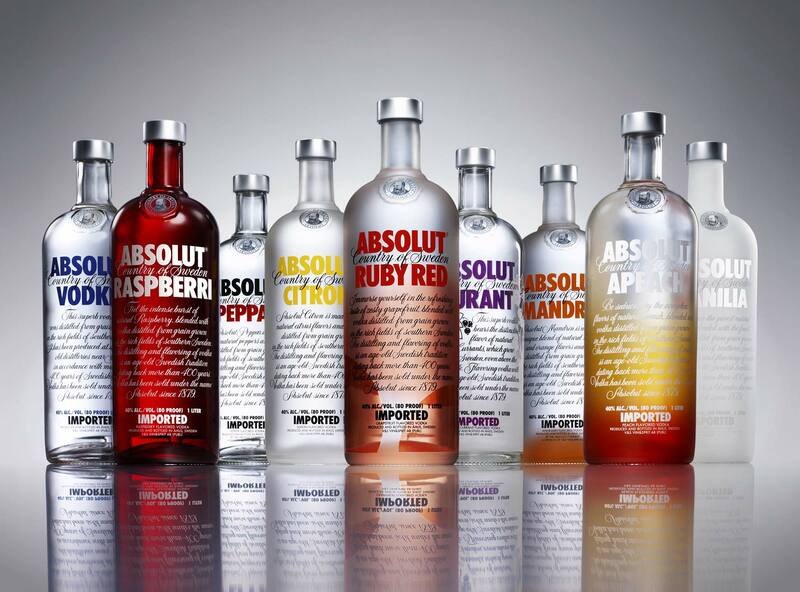 Many of the contemporary flavors of vodka are made using fruits such as apples, oranges or berries. Each vodka-producing region of the world has imbued its vodka with characteristics that reflect its own unique cultural heritage. In Eastern Europe. The hub of vodka production is Eastern Europe, where spirit was originally distilled from mead. Spirits known as vodka were used for medicinal purposes, but over time, the use of vodka spirit as a beverage became increasingly popular. Today, every country in Eastern Europe makes its own vodka. People of the region prefer to drink vodka as a straight shot and often follow it with a zakuska or snack. In Poland. Among the Eastern European countries, Poland has produced vodka since the early 1400s. Vodka, also known as okowita, was used in traditional medicine for joint pain or as an aftershave tonic. By the 18th century, the vodka distillation process became a commercial enterprise. By the 19th century, Poland became a vodka exporter, and today, specializes in vodkas based on grains and potatoes. In Baltic States. Other Eastern European countries, such as the Baltic states of Estonia, Latvia and Lithuania also make use of wheat and other grains in their vodka production, as does Holland, Germany and Great Britain. Vodkas produced in France and Italy however, are based on grapes and other fruits. In Russian. Russians claim that the first vodka was created in their region, and through time, vodka has become an intrinsic part of its culture. Russia, Belarus and Ukraine eventually imported innovative machines and techniques from other countries, resulting in vodka production becoming their technologically most advanced industry. These vodka giants make their vodka mainly from wheat and rye. Russia maintains a trademark production of high quality vodka. In America and Australia. In the U.S., the vodka produced is based on grains and molasses, as is also the case in Canada, Australia and the Caribbean. Vodka in the U.S. is currently the most popularly sold white spirit, and is used as an ingredient in some of the most famous cocktails. In the past, sales of U.S.-produced vodka were limited to European vodka companies, but when Smirnoff was bought by a US company, domestic sales of US vodka surged. Selecting the perfect vodka from among a great variety of brands is no easy task, as they all claim to be best. The best selection depends on a person’s taste and the vodka’s intended use. For mixed drinks and cocktails, the ideal choice might be Absolut or Smirnoff vodkas. For straight drinks or shots, however, one should consider vodkas among the Stoli, Grey Goose or Armadale labels.